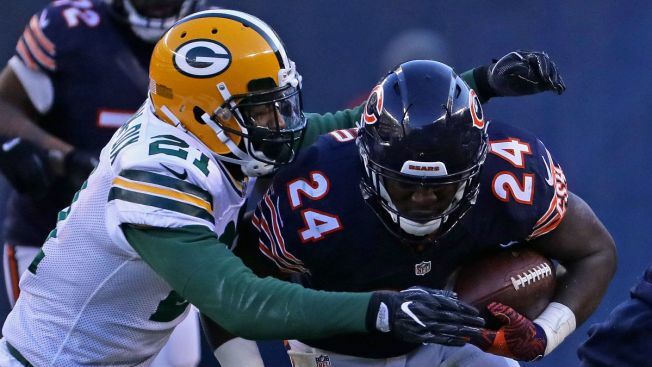 Jordan Howard and the Bears will take the field again this August when they welcome the Denver Broncos to Soldier Field for preseason action. The Chicago Bears will be looking to bounce back after an awful 2016 season, and on Monday fans found out when the team will next take the field in game action. On Monday, the Bears released their preseason opponents and a rough schedule of games, which will take place during the week of August 10 when they take on the Denver Broncos at Soldier Field. John Fox’s former team will open the preseason at Soldier Field for the second consecutive year after beating Chicago 22-0 last season. Here is the rest of the schedule, which also features a home date against the Cleveland Browns. Dates and times will be announced for the games later this spring. Aug. 27: at Tennessee Titans 12:00 p.m. The Bears went 1-3 in the preseason a year ago, and they ended up going 3-13 in the regular season as they struggled to one of the worst records in team history.